Do you eat pumpkin seeds? 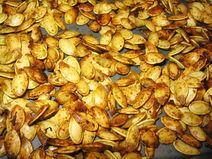 Do you save seeds from pumpkins, boil in salted water and bake them in the oven or prepare them in a different way? Or do you buy them ready to eat from a shop? If we eat pumpkins at home I feed the seeds to the chickens. I love these. They are a delicious snack. You should post the recipe in recipe yum. 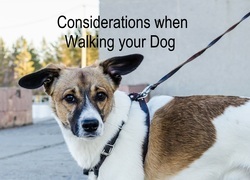 I will do that, good idea. I see that there are already recipes for roasted pumpkin seeds in Recipe Yum so I won't submit mine. Never have...never will, far too many other foods for me to eat. If I ever get hungry, and no other food around.....then yes I would. I don't find any value, [for me] to eat them? They're high in zinc. Also nice covered in chocolate. I don't save them from pumpkins I eat but I used to buy a bag of them at uni to eat in lectures. I love salted pumpkin seeds, but I haven't had any in years. I haven't tried preparing my own, but perhaps I shall give it a go next time I have pumpkin. Nope. Would have awful dreams of pumpkin vine growing inside me, & taking 'body & mind' over! Yes, I sometimes eat pumpkin seeds, however I nearly always put them in bread when I make it myself. I would not dry them myself as it is far easier to buy them. No. There's got to be something with a bit more flavour than pumpkin seeds to snack on. Have you heard the term 'sharents'? Have you ever had a letter published in a magazine? Do you have a set of matching mugs? Have you heard the expression 'my bad'? Do you ever provide feedback to stores that request it?